Well, I had planned on making a nice writeup about this, but alas between work and home life I don't have the time to put into it right now, so I'll just put the basics up now and hopefully I can flesh it out later as time allows. This dish is a Dutch staple in wintertime and belongs in a whole class of dishes called Stamppot. 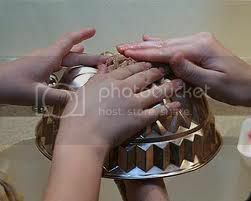 The Dutch people are rather fond of mixing mashed potatoes with just about anything, and that is the basis of stamppot. 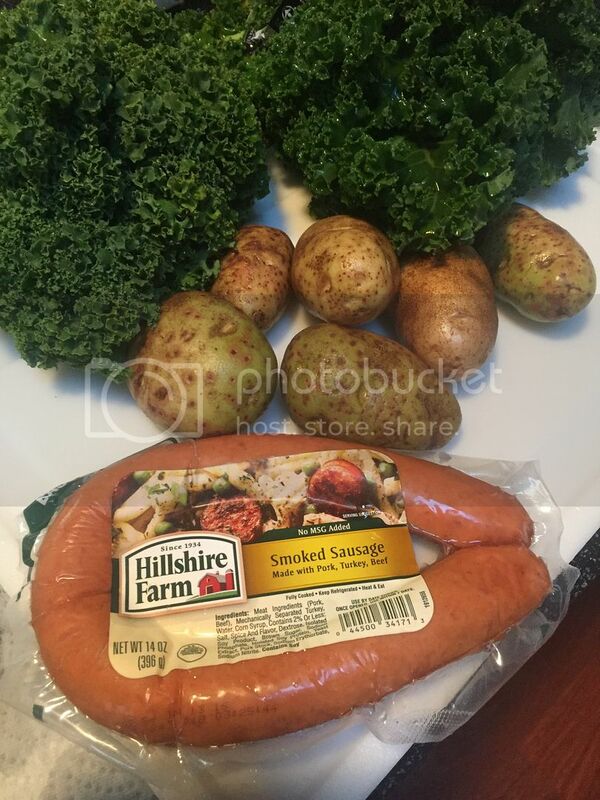 In this classic dish, potatoes are mixed with kale and sausage for an easy, yet filling dinner. Boerenkool literally means farmer's cabbage, and is the Dutch name for what we call kale. There is a Dutch saying "een nacht vorst overheen is gegaan" that loosely means "after a night's frost on the field" and refers to the kale tasting better after a night of frost, because the cold weather causes more sugars to form in the leaves. Therefore, kale is harvested in the fall after the first frost, and is a very common dinner this time of the year. While a quick search of the internet will turn up a variety of recipes for this, you'll see they are all similar, yet different at the same time. That is because there is not one right way to make it, and everyone makes it differently. In fact I don't even really have a recipe per se, but a general guidelines which I'll outline below. 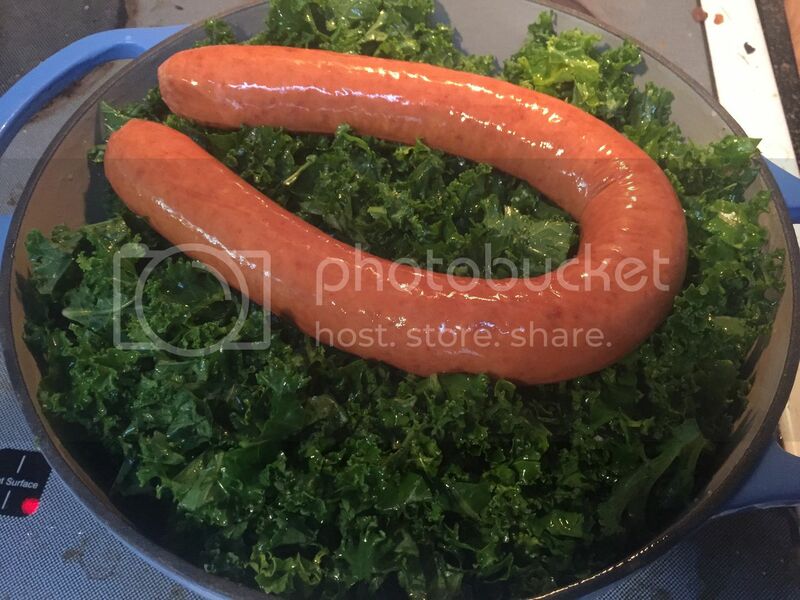 First, the major players in the game, Kale, potatoes and sausage. Most of the time I'd use one bunch of kale per two people, more or less. I used two last night and it made about 3 servings worth. It may seem like a lot of kale, but it cooks down pretty good. For the potatoes, I'd use two large baking potatoes per bunch of kale, but I didn't have any large ones on hand, only small and medium, so I used 6 of those and it came out a little light on the potatoes, so more would have been better and would have probably made enough for four people. For the sausage, any sausage would work. In Holland it'd typically be a rookworst which is a type of smoked sausage, but in reality anything will work. I used smoked kielbasa last night. My mom would also make this with pork chops, and dice the cooked pork up and mix it in, so the options are really endless here. 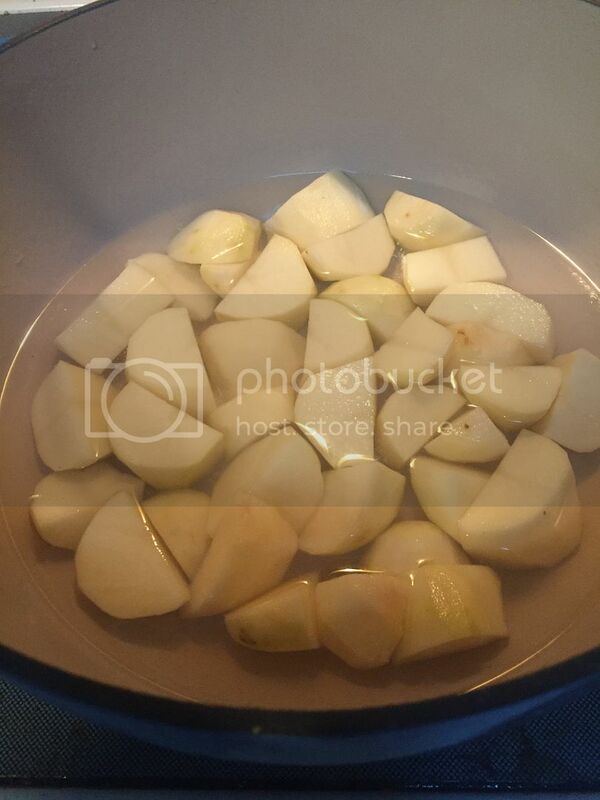 The first step is to peel and quarter the potatoes, then place them in a large pot just barely covered with water. You'll need a large pot to hold the seemingly endless amount of kale. Next, wash the kale really well. Those curly leaves are great places for bugs, stones and other junk to hide out. Then remove the tough stems and either cut or tear the leaves into small pieces. Add the kale to the pot on top of the potatoes, you may need to squeeze it down to get it all to fit. Then add your cooked sausage (or other meat) on top of that so it can warm up. Bring the water to a boil, then reduce the heat and boil, covered, for about 25-30 minutes until the potatoes are done. Remove the sausage and drain off any remaining water, but if you want you can reserve a little bit to use in place of the milk. Now, mash the potatoes and kale together, then add a couple tablespoons of butter and about 1/3 cup of warm milk (or the reserved liquid) and stir to a smooth consistency. Add more milk/liquid if needed, but not too much. I was a little heavy with the milk last night and it came out a bit runny as you'll see below. Add salt and pepper to taste, and if you like (I do) a couple tablespoons of vinegar as well. Not everyone likes the vinegar, but I like the acidy tang it provides. Slice the sausage and mix in, or serve it on the side, your preference. Looking good, Mike. Thanks for posting. Interestingly, while We usually think of Colcanon (sp? ), the Irish dish, as being made with potatoes and cabbage, I've had two women independently tell me (insist, actually) that it's really made with kale. Makes it pretty close to this Stamppot. Coincidentally, both the women were from Dublin, so there might be a regional thing going on there. Be that as it may, the combo of potatoes, pork, and something from the cabbage family is certainly a winner; particularly when the temps start falling. You may be on to something with that line of thinking. 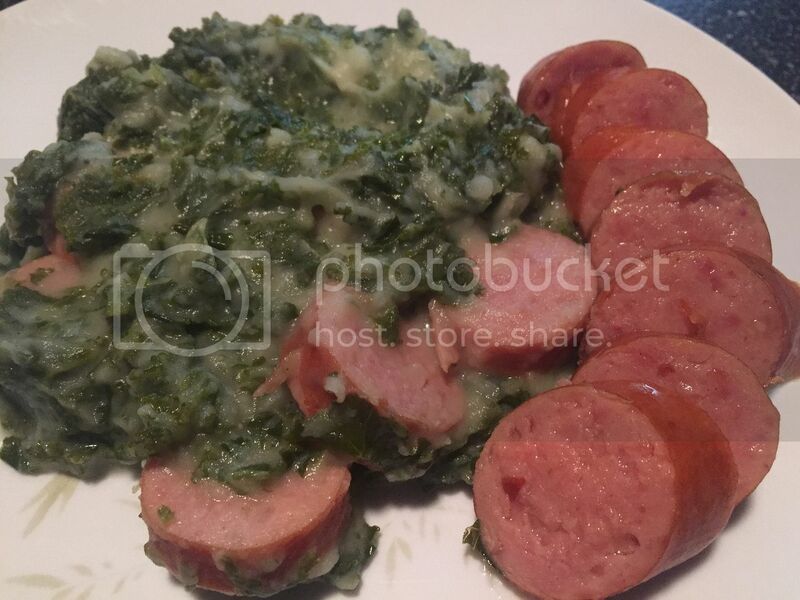 I know there's another form of stamppot that's made with zuurkool (sauerkraut) and would be pretty much the same as the recipe above, but substituting sauerkraut for the kale. I'm not sure if I've ever heard of any recipes using a traditional cabbage as we know it, but that doesn't mean it's not out there. I'm not a huge fan of cabbage or sauerkraut for that matter, so it might just be that I've never bothered looking for a recipe. Mike, my thoughts were actually going in the other direction, wondering if we looked across northern Europe if we wouldn't find kale & potatoes the more common mix? Just a wild guess, but, though the Irish traditionally use ham, it's more likely that sausages are used in middle- and eastern-Europe. Certainly worth a little research. You do not make your own sausage? looks awfully good to me....the only thing I enjoy about the colder weather, is the inspiration it provides us to get out in the kitchen and make something wonderful. Ah, sorry, I misread your original post. I wonder if you are correct in that thinking. Would definitely be worth some research for sure. As for the ham/sausage thing at least for the Dutch I think it would depend a lot on what's going in the mix. I know if you were to make a stamppot with spinach instead of kale, then it would be more common to use bacon instead of sausage, and typically an onion would go in the mix too. The same would go for zuurkool (sauerkraut) where bacon would be more common, but the onion disappears in favor of spices like bay leaf, juniper berries or cumin. Though either could be served with sausage instead. It's on my list of things to do. I'm waiting on enough disposable cash to buy a stuffer as last time I tried stuffing sausage with my kitchenaid I swore I'd never do it that way again. I hope you do try it, and I hope you like it as much as I do. That is such good advice! I have never tried stuffing with the attachment for Kitchenaid,I did try using the powered grinder to stuff, it is a very sorry way to do it. Even a sloppy horn type stuffer is better than trying to use a grinder as a stuffer. Many years ago I used a large funnel and a wood dowel, it does work but is very slow and messy. 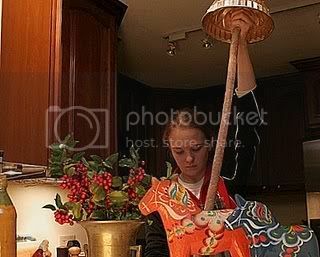 There are quite a few ways to stuff sausage.....here's an enterprising young lady with a bundt pan! This looks wonderful, Mike - thank you for sharing this piece of your family heritage! I have always avoided kale for some illogical reason (I think it has to do with the thickness and curliness of the leaves), but this post of yours has inspired me. I like the simple ingredients, I like the story behind it, and I like the approach. I will indeed give this a go, and will report back. I'd also like to take a moment to compliment you on your knowledge of the ins-and-outs of Dutch food. 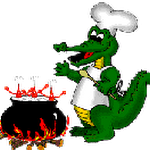 Your posts above detailing the inter-relationships might be just normal, every-day stuff for you - but for someone who really wants to learn about a cuisine, it is priceless knowledge. My thanks again for a signature post on this forum, Mike!